ORTHODOXIA.INFO | Newsdesk Arsonists armed with Molotov cocktails have attempted to stage an attack on the church of St Andrew in Kyiv. According to orthodoxia.info sources, the attack on Thursday morning caused no serious damage to the building or any injuries, and the petrol bombs were thrown at one of the doors of the structure on which the church stands, as seen in the photo below. The Ukrainian state recently transferred the church of St Andrew to the Ecumenical Patriarchate of Constantinople for permanent use. 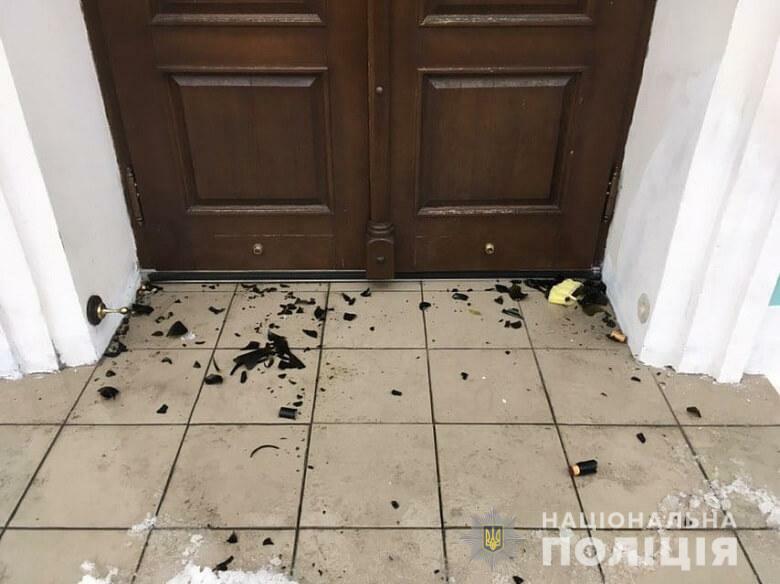 Late last night, Kyiv Police confirmed that the attack had taken place, issuing a statement according to which no individual has been injured. An investigation is currently underway in order to track down the culprits. The police have also noted that a backpack was found at the scene of the attack which they believe belongs to one of the perpetrators. Video from the scene following the attack has been made available by Ukrainian television.